Task seating, more commonly known as office chairs, is specifically designed to handle the daily grind that is sitting for eight hours. Unlike dining chairs or even couches, task chairs have to be ergonomic to support the body throughout long periods of time – chairs that fail to do so can leave office employees with back and neck pain. Whether you’re purchasing task seating in bulk for your company’s office or you need a single chair for a home workspace, you should know what components go into each piece and how those features provide a comfortable experience. With that in mind, we’ll examine the anatomy of task seating from the bottom up. 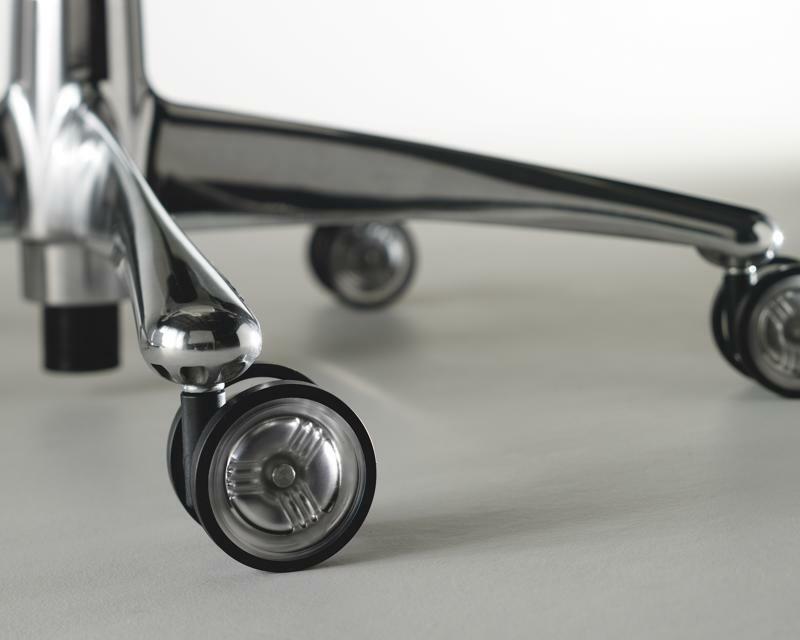 Task chair bases typically feature five legs centered on a single point, and each leg contains a caster. This allows the chair to roll. Unlike other seating, the base includes a single pole that holds the chair up. 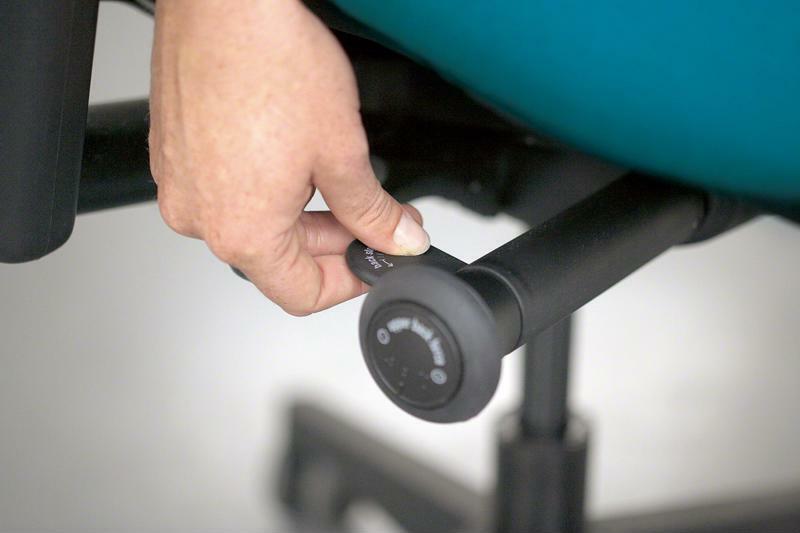 A solid task chair base supports the whole mechanism. Moving up from the base of a task chair, you’ll find the pump. 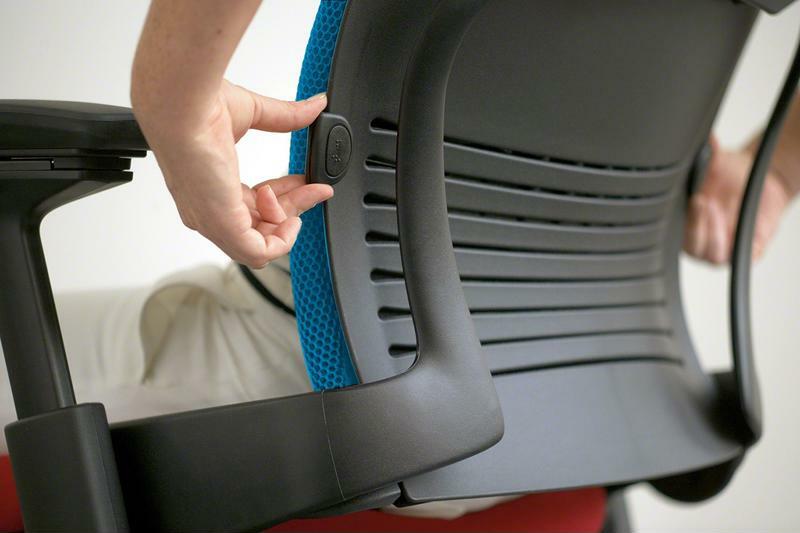 This feature, often mounted beneath the seat, allows you to raise and lower your chair, adjust the angle of the back and alter the lumbar support. Chair mechanisms allow you to adjust your seat. 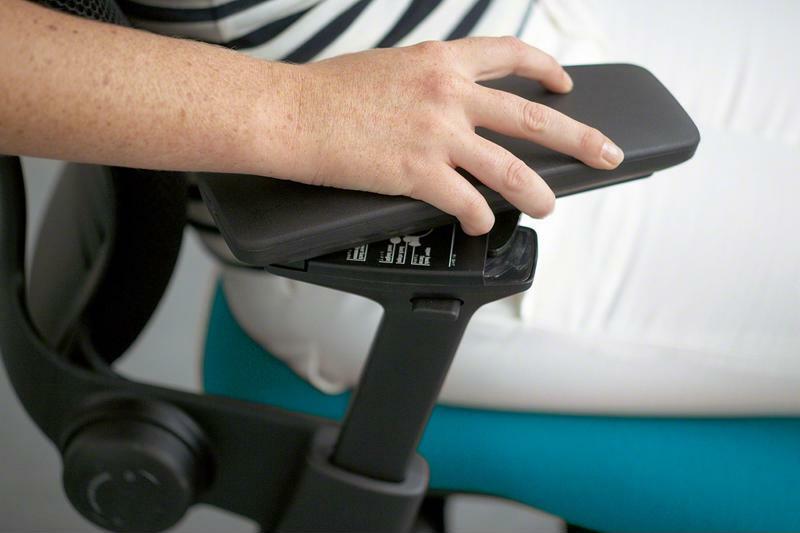 When it comes to ergonomic chairs, having the ability to adjust the seat height is important. It controls the angle at which your knees and elbows rest. Ideally, you want your knees to always be at 90 degree angles to support your back without straining your knees. Additionally, you have to have your feet planted on the ground to assume the ideal posture. 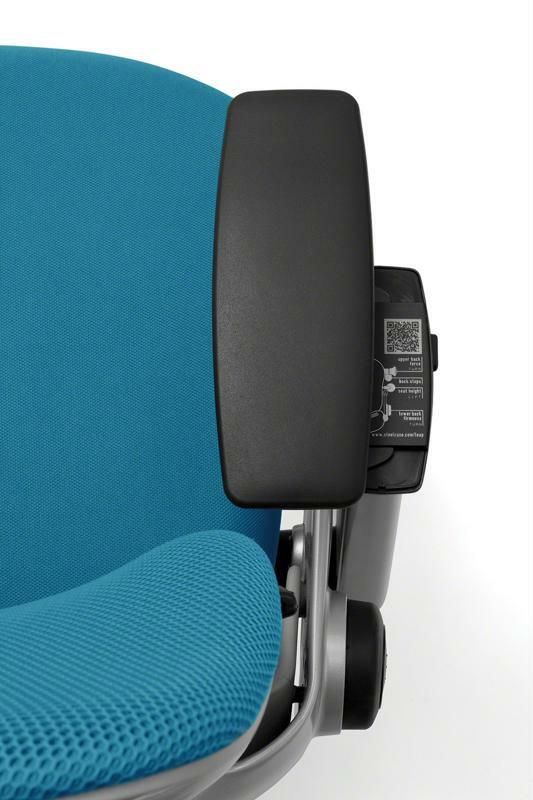 A seat that’s too low or too high prevents you from sitting in a way that supports your frame. Your task chair should have a comfortable, body-hugging seat. Task chair seats come in a variety of shapes and materials, each of which provides various benefits. For instance, some seats are designed to help you naturally improve your posture – the curves of the seat encourage you to sit up straight and ease your back into the lumbar support. You’ll perhaps find the most chair variety in seat backs. Different brands create their own designs to help improve posture so you don’t experience aches and pains from sitting for extended periods. In fact, modern task seating features curved backs that mimic the S-shape of the human spine, which you can clearly see on the SAYL Chair by Herman Miller. Task seating provides back support. Because your back is naturally curved, you need a chair that molds to that shape and will help you maintain a correct posture. With a pronounced lumbar support area, you’ll be able to keep your spine in a comfortable position all day long. Even the arms of your chair can be adjusted for comfort and posture support. You may not think chair arms impact posture very much, but they actually can help you type more comfortably. Ideally, your elbows should rest at 90 degrees so you don’t have to hike your shoulders up or lean to access your keyboard. Additionally, the arm rests must support your arms near the elbows, rather than near the wrists. Many task chairs allow you to adjust the height of the arms to better conform to your body – after all, everyone is built differently. Some chairs even have curved arms to better hug your body – the Liberty Chair by Humanscale includes this feature. Task seating differs from other chairs in that it provides the body with additional support and stability. In an office setting, ergonomic features are important, as they ensure employees are comfortable and avoid aches and pains associated with poor posture. Of course, the chairs can’t do all the work! As you implement task seating, teach your staff best practices for good posture so they make use of their chairs’ ergonomic features.